After gay and transgender propaganda was banned in St. Petersburg, lawmakers in the Siberian city of Novosibirsk have proposed that Russia introduces the legislation nationwide. 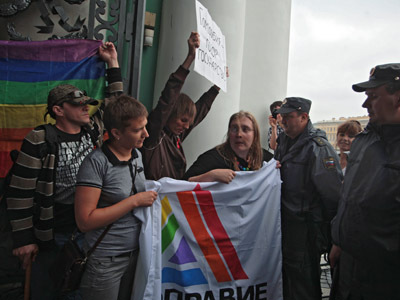 The bill recommends imposing a fine of 4 to 5 thousand rubles (approximately $130 to $160) for individuals who are found guilty of promoting homosexuality among minors. The fine increases ten-fold for state officials; companies must pay one-hundred times more for the same offence. 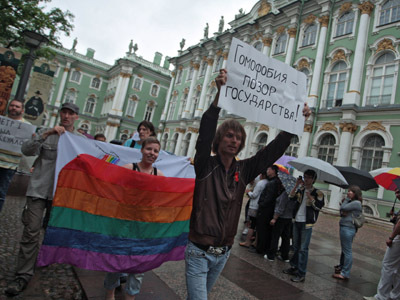 In documents accompanying the bill, the Novosibirsk legislators claim that homosexual propaganda in Russia is very widespread, and is propagated via mass media and public events that present homosexuality as normal behavior. The lawmakers stress that such practice is dangerous for children and youth who are incapable of critically perceiving the "avalanche of information" that inundates them daily. They conclude that the family and motherhood, as well as the interests of the underage, need state protection. At the same time, the authors of the bill claim that their initiative is not countering homosexuality per se, as they are only recommending punishment for the propaganda of such behavior among minors as it negatively affects their spiritual and moral development. State Duma chairman Sergey Naryshkin promised last week that the proposed legislation for a ban on gay propaganda would be thoroughly considered by MPs once it is submitted. Duma Deputy Vyacheslav Lysakov told reporters that he considered the bill “positive” and would support it. 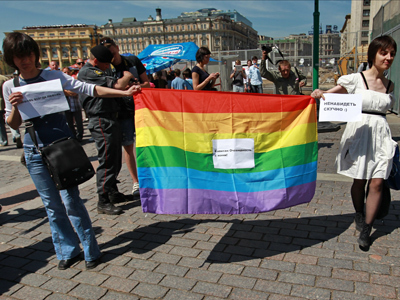 The legislative assembly of St. Petersburg, Russia’s second-largest city, recently adopted a similar bill, causing a wave of protest from the country’s gay community. One gay activist has even sued one of the politicians behind the bill, claiming he has inflicted damage to his honor and dignity, and demanding 1 million rubles (about US $30,000) in compensation. The gay community has also announced plans to hold pickets outside schools and kindergartens in protest of the legislation. The authorities and the Russian Orthodox Church have warned against such actions, calling it extremely provocative and dangerous.